Although we just rang in 2009, I am setting my sights on 2025 which represents a huge milestone in San Clemente: San Clemente will turn 100. You might wonder what will San Clemente look like in 2025? If it matters to you, the time for you to become engaged is now as we embark on a General Plan update. The revised General Plan will be the tool that gets us to this grand celebration. The General Plan is often called the blueprint for development and conservation of a city. So, have a say in San Clemente’s future, get involved and share your visions for the city’s future. Some of you may wonder why a General Plan is needed. A General Plan clearly represents a city’s comprehensive effort to delineate a vision for its future, and formulate action oriented programs to achieve that future. The plan does indeed function as a blueprint that defines not only how San Clemente will evolve through 2025, but the steps we as a community will take to make this vision a reality. California State law requires cities to adopt a General Plan. The document is required to address land use, circulation, housing, conservation, open space, safety, noise and the general needs of the city. These subject areas are known as “elements”. A General Plan defines the city’s vision for the quality of life of the average person within the community. 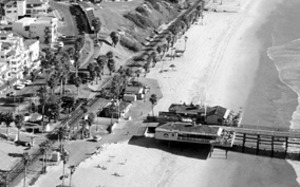 The City of San Clemente’s current General Plan was adopted in 1993. We can all appreciate how much has been accomplished, and how much has changed since then. San Clemente is a special place to those of us who live here and to visitors alike. That is why we encourage input from residents, so my fellow Councilmembers and I can ensure that the General Plan Update is comprehensive and relevant as we move forward. Through the General Plan steering committee, public workshops, surveys, focus groups and participation at City Council meetings, residents can provide input and play an important role in shaping San Clemente’s future. Spring/Summer 2009 (this will be ongoing throughout the process of the General Plan update) – Citizen Participation Program. This step involves gaining feedback from the residents, business owners, community members and other stakeholders. A General Plan Advisory Group is formed to oversee the process. Fall 2009 – Land Use Alternatives. During this step, we will look at data and information on what the various future land use alternatives mean to the City infrastructure. Resources will be presented to the community at workshops and charrettes. Based on public feedback, preferred alternatives will be recommended by the General Plan Advisory Group, Planning Commission and then City Council. Winter 2009/Spring 2010 – Update the General Plan. The General Plan Advisory Group works on completing the draft update of the various General Plan elements. As elements are drafted, they will be made available for public review and comment on the City website. Workshops and focus groups may also be held to review more detailed issues. Summer 2010 – Environmental Review Process. This involves the developing an Environmental Impact Report to analyze impacts on the updated General Plan document. Public review and hearings will be coordinated to involve the residents. Fall 2010 – Adopt the General Plan and EIR. The final step involves the public hearing process for the General Plan and final EIR will include review by City Commissions and the adoption by the City Council. 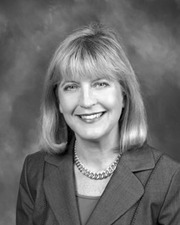 For more information on the step-by-step process summarized above, log onto www.san-clemente.org. If you have any questions on this topic or others, contact me at DonchakL@san-clemente.org or (949) 361-8322.